LINE-X is predominantly known as the hardwearing, spray applied truck bed liner popular with all makes and models of the pick up truck market, but that’s not the only application we have to offer. LINE-X has become a dominant protective coating in the van lining and industrial coatings markets due to the superior advantages LINE-X spray applied polyurea coatings offer, such as high abrasion resistance, rust and corrosion prevention, fast setting – Quick return to service and many more that you will find through out this website. LINE-X products are utilized in commercial, industrial, agricultural, military and custom applications. 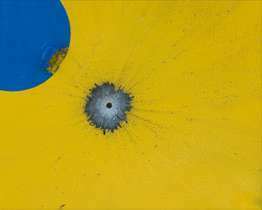 LINE-X offers a protective spall-lining (PX-2100) that is sprayed onto equipment and body armour such as breast plates. 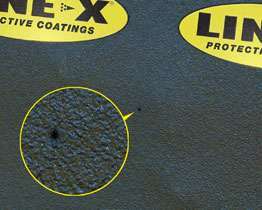 LINE-X PX-2100 tough coating has the ability to flex, which absorbs the impact of projectiles, preventing fragmenting, therefore stopping spalling.